S.H. 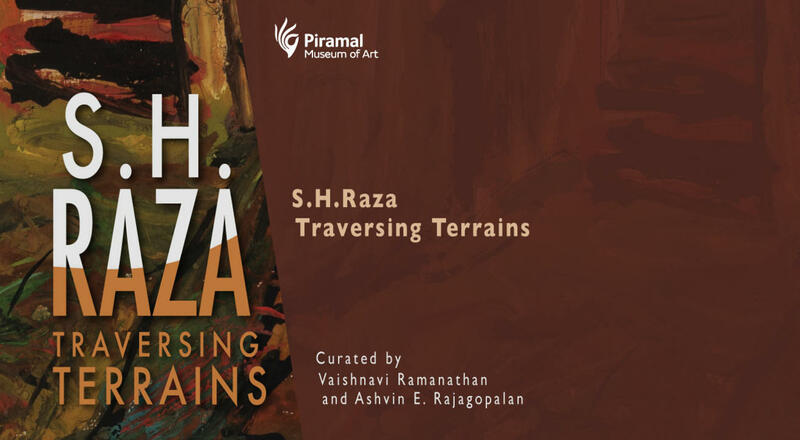 Raza: Traversing Terrains traces the life and work of one of India’s most well-known artists, Madhya Pradesh born Syed Haider Raza (1922-2016) who was a founder member of the Progressive Artists’ Group. The exhibition examines his evolution as an individual artist and thinker beginning with his days at the Sir JJ School, Bombay and his move to Paris to study further. The exhibition then moves to works produced by the artist during the decades he spent in France when he initially absorbed aspects of French art and American abstraction and then returned to his Indian roots. Through paintings, photographs and works done by Raza and his peers, the exhibition also sums up the artist’s importance in the larger narrative of art history. We invite you to join us on a journey of deliberation and appreciation of the artwork of this creative genius spanning over five decades of his glorious career. Please note this tour will be conducted in English. Syed Haider Raza was a founder member of the Progressive Artist's Group and one of the most prolific Indian artists of his time. He was born in Madhya Pradesh and studied at the J. J. School of Arts, Bombay and later went on to study at the prestigious École des Beaux - Arts, Paris. What makes him stand out amidst his professional cohort was that despite employing the techniques of western modernism like abstraction and cubism, he based the later substantial work of his career on the ancient concepts of Indian Philosophy. Raza engaged with dualities and strove to arrive at an integration between art and music by repeating form and technique but with minor variations to create a sense of rhythm. Landscapes too have a major place in his art as they symbolise the shifts and stills of his life. For these and many other significant contributions he made to the field of fine art, he was awarded numerous prestigious awards and accolades.